Skunks are most often black with two white stripes, but can vary in color from almost all black to almost all white. They are known for their pungent odor that they spray when threatened. Skunks will den under a deck or building without a foundation to raise their young, and they will dig up a lawn looking for grubs. To avoid your pets or children being sprayed or skunks dying under your structure, Varmint Removal & Repair will remove your skunks and install a barrier to prevent re-entry. Raccoons have a masked face and ringed tail and can cause problems for humans by entering a structure and living in the walls or attic. This could cause damage to your insulation and wiring. Raccoons also dig up the sod in your lawn looking for grubs and earthworms, and they are notorious for tearing apart garbage looking for left-overs. 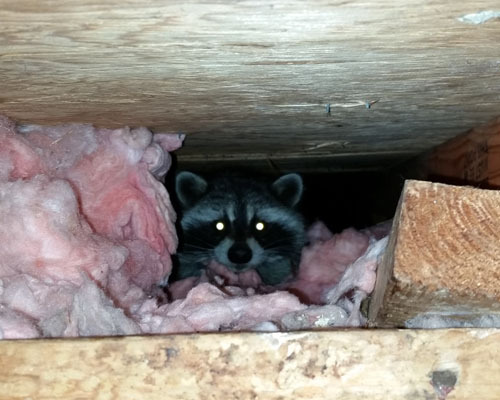 If you are dealing with raccoon problems, Varmint Removal & Repair can remove the raccoons, and fix and clean-up the damage they have caused. Squirrels are gnawing rodents that are mostly vegetarian. The species of squirrels in northern Michigan that can cause conflicts with people are the eastern chipmunk, gray squirrel, and red squirrel. Flying squirrels can cause damage in the walls and attics of structures. Woodchucks and 13-lined ground squirrels make burrows in lawns, landscaping, and under buildings. Varmint Removal & Repair can trap and remove these critters from your property and seal-up their entry locations. Moles can cause damage to lawns and gardens from their tunneling activities. Other critters that cause a nuisance include snakes, mink, muskrats, beavers, porcupines, opossums, snapping turtles, foxes, and several others. 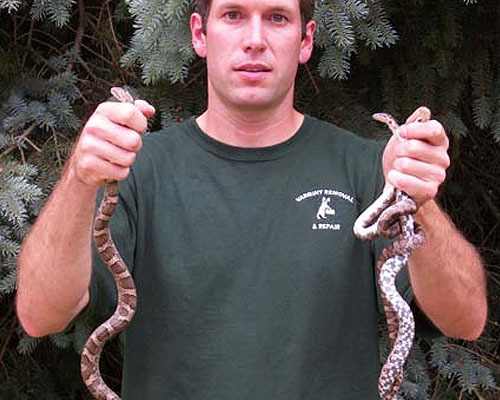 Varmint Removal & Repair can remove all of these animals from your property. 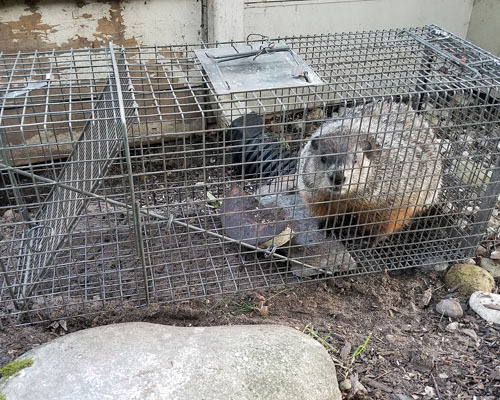 We use several different types of traps to remove nuisance animals that cause damage to lawns, gardens, and structures. 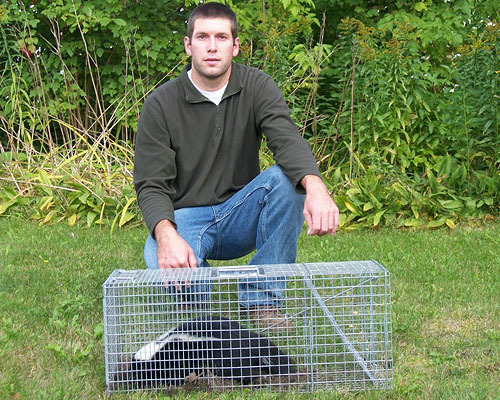 We offer nuisance animal control, critter removal, repair and clean-up services for the Northern Michigan and Eastern U.P. counties of Emmet, Charlevoix, Cheboygan, Otsego, Mackinac, and Chippewa. 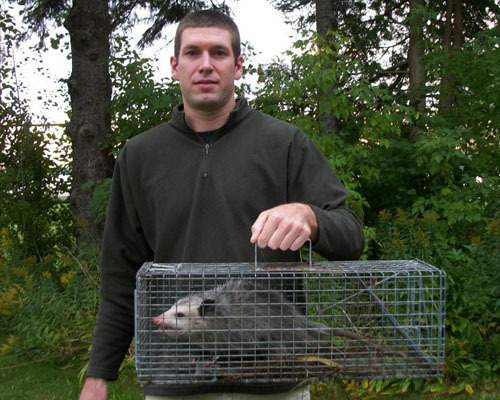 Animal removal in Petoskey, Harbor Springs, Charlevoix, Gaylord, Mackinaw City, St. Ignace, and more. Call us! 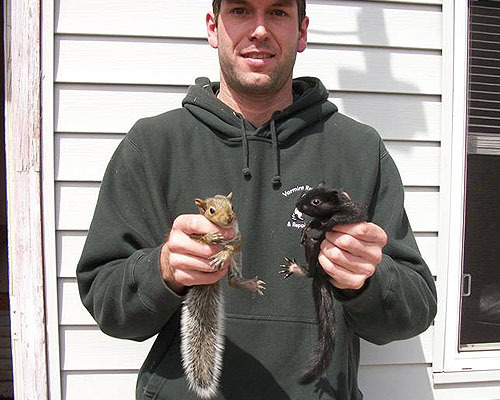 Animal removal and wildlife management of bats, skunks, raccoons, squirrels, snakes, birds, and other critters in Northern Michigan. Copyright 2018 Varmint Removal & Repair. Member of the Petoskey Michigan Chamber. Site Developed by Abuzz Creative.